..and like the cry of a mournful soul, the sound carries on the wind toward me and I, waiting, look up the track to see the V shaped trail of smoke rising over the highway bridge half a mile distant. The plume of smoke gives way and my eye fixes on the bright glare of the headlight as she pulls slightly upgrade toward me as I wait with cameras at the ready; the one strapped to my wrist and the other slung around my neck. The family is forgotten now. I can only hope that they see what I see, hear what I hear and are touched by the magic of the beast as she draws ever nearer with her consist. Closer and closer she comes with her whistle crying and the sound of her chuf-chuf-chuff swelling louder and louder. And then she is here. Her bulk fills my viewfinder and I snap one picture, drop the camera, swing up the other one and take another shot while the clanking sound of her drivers fills my ears. 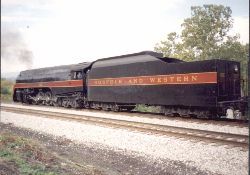 Swiftly she rolls by drawing her consist of passenger cars with the riders peering out the windows and standing in the doorways waving to those of us on the ground at the grade crossing. 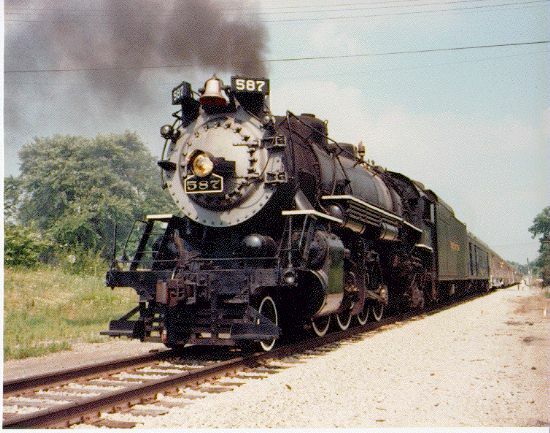 That was 1981 and it was the NKP 765 Berkshire Southbound through Muncie Indiana on the N&W (ex-Nickel Plate) track. 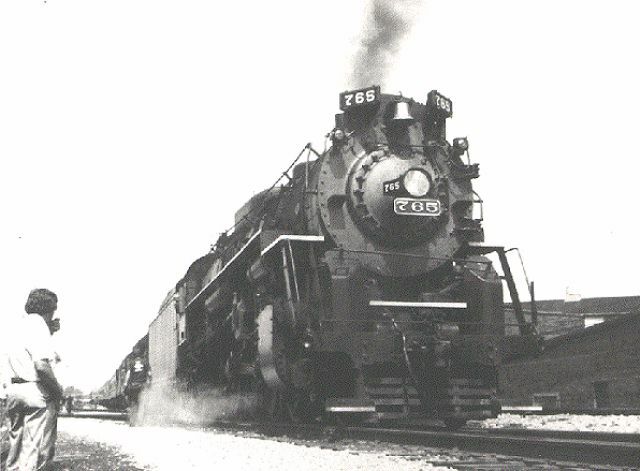 Later came the NKP 587 at Alexandria Indiana on ex-NKP trackage and then the N&W 611, again at Alexandria. None of those scenes are to be repeated. 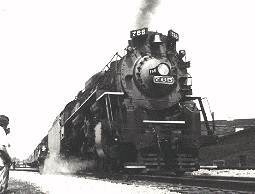 I got out of a sick bed one year just to catch the two minutes of 611 under steam. God! What a sight! They were all beautiful in their own right, those living, breathing engines from another day. To see such a big beastie loose once again on the mainline trackage where they used to roam, there is nothing like it. It is truly magnificent! That said, I guess that explains why my HO scale East Central Indiana RR, a modern short line, has added a water tank and a small 0-4-0 switcher to its roster. The little guy came into my hands needing a tender and, as it would happen, an ex-Pennsy slope back tender became available at just the right moment. The little switcher still needs some work, and I've just picked up a couple of new marker lights for its tender, but it is doing duty in my South Henderson Yards and pulling its weight. 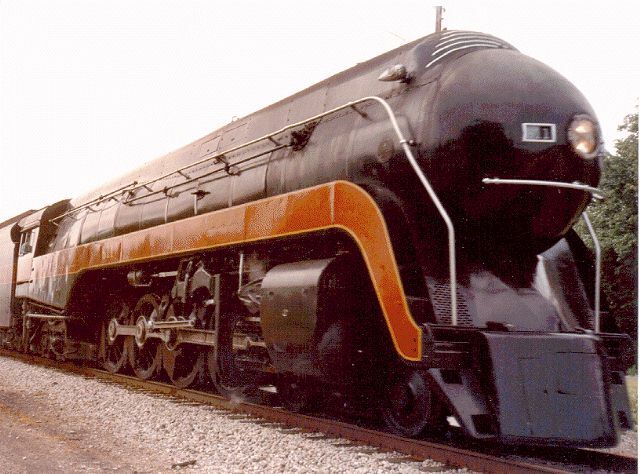 Also, the ECI has acquired a 2-8-0 that is now benched waiting for a motor replacement. 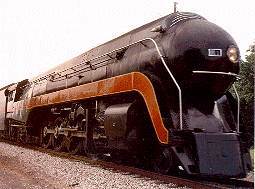 It will alternate runs with the rebuilt F-unit pulling the excursion runs on the ECI when it is finished. NW 611 Tender View by Bob Trueblood. 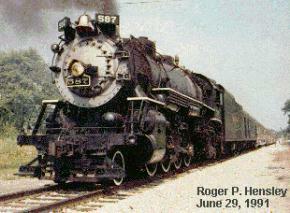 Copyright 2002-2006 by Roger P. Hensley. All Rights Reserved.